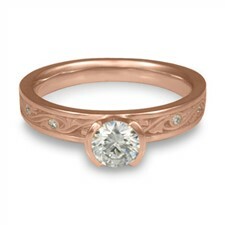 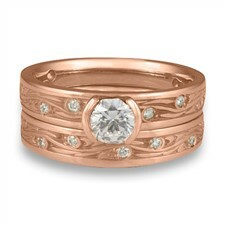 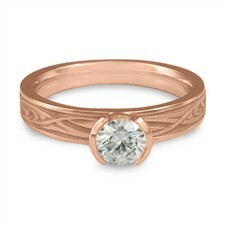 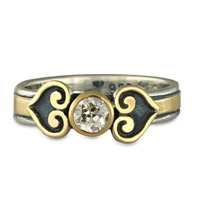 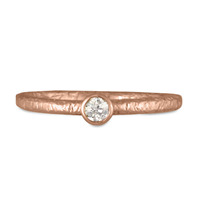 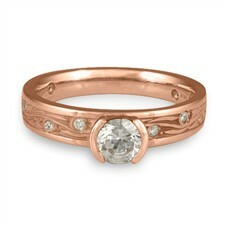 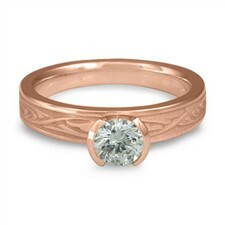 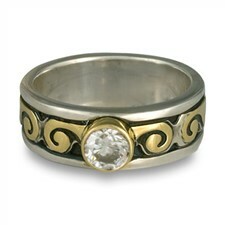 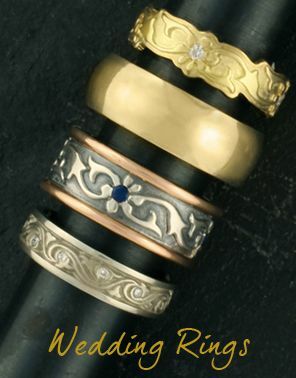 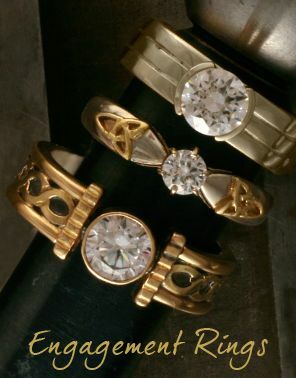 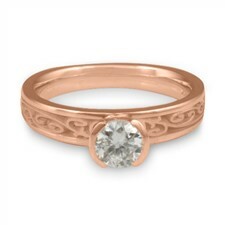 What's shown below is a small sample of designer collection of Fairtrade rose gold engagement rings. 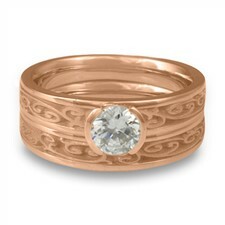 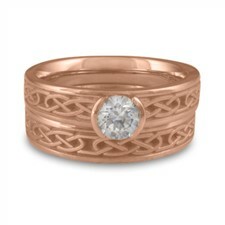 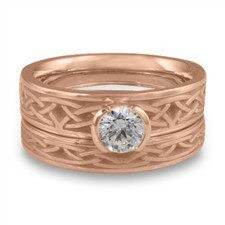 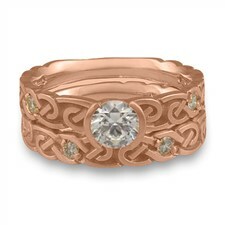 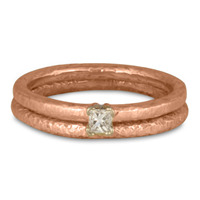 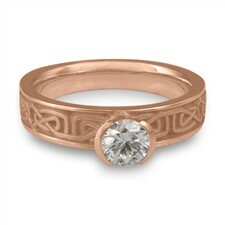 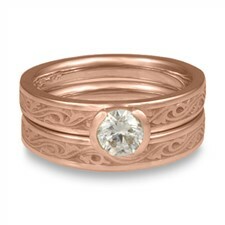 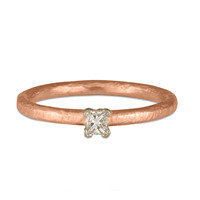 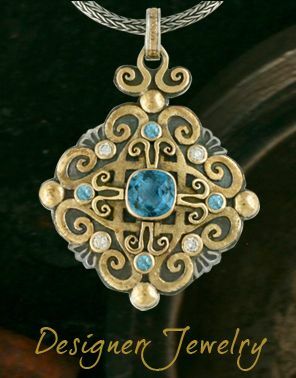 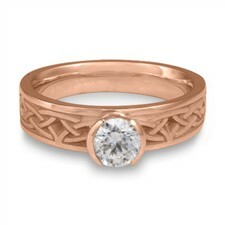 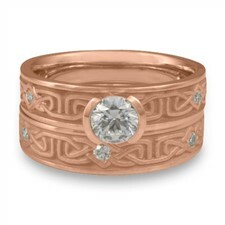 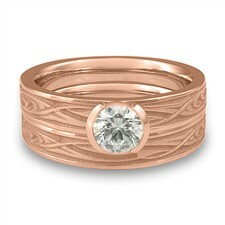 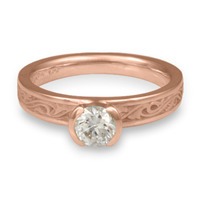 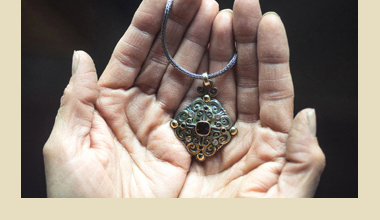 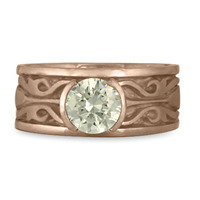 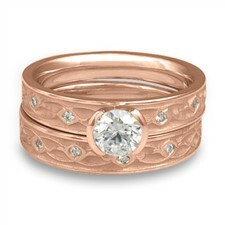 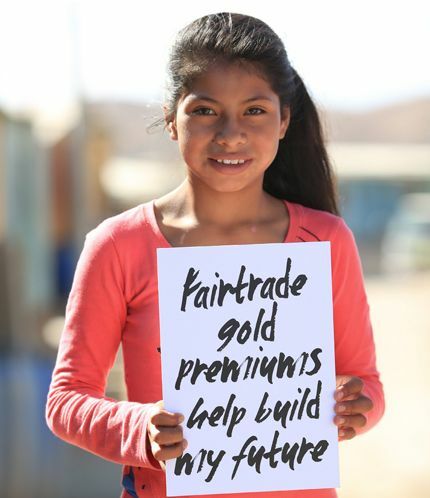 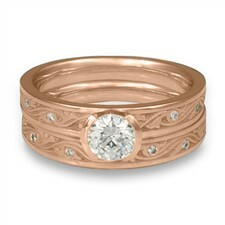 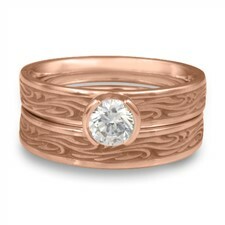 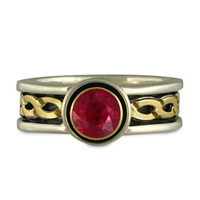 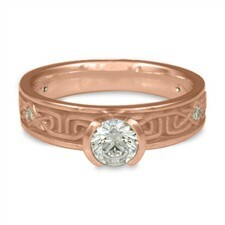 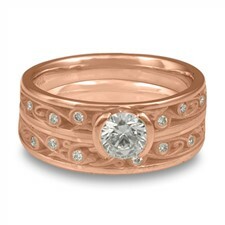 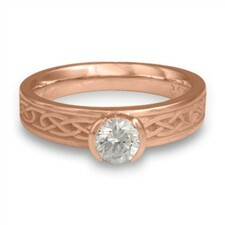 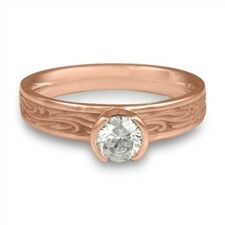 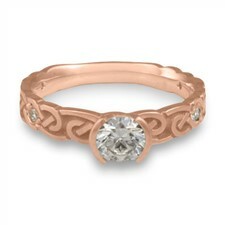 We can create any of our designs in Fairtrade rose gold. 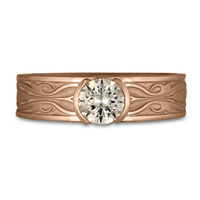 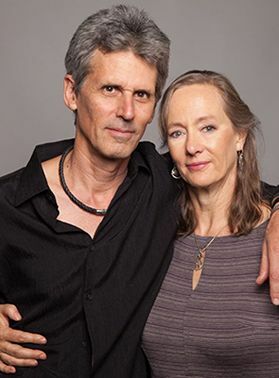 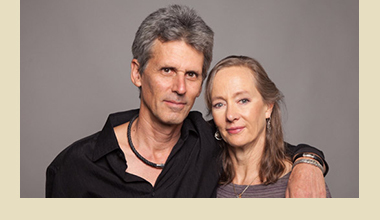 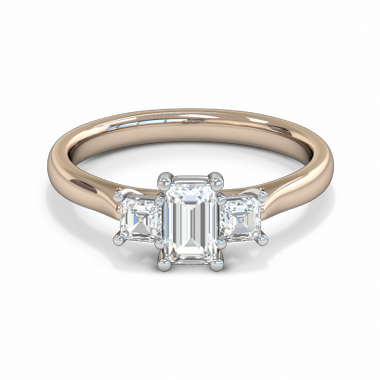 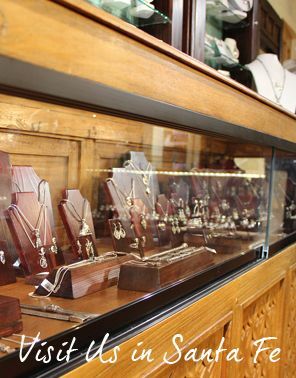 If you want a customized fairtrade rose gold engagement rings, or wish to use your own gemstone, just contact us in our in our Santa Fe studio. 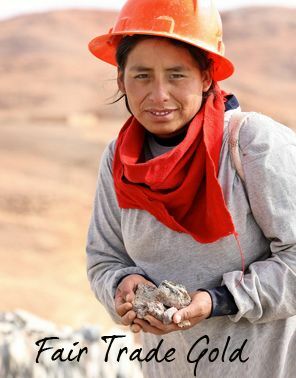 We'll be happy to assist! 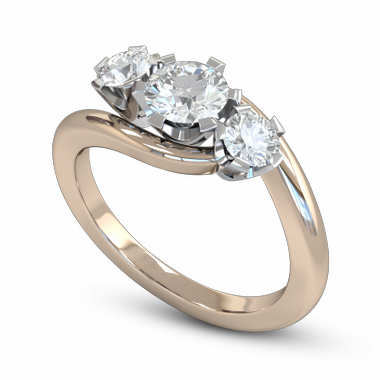 "Your helpful and customer oriented attitude is what made it easy to order. 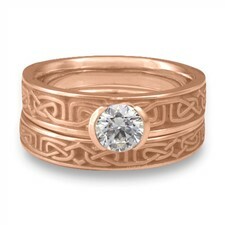 I chose the knot work in my rings (I bought matching rings for my Wife and I) thanks to the knot descriptions detailed on your website. 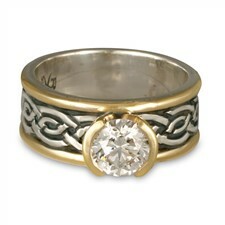 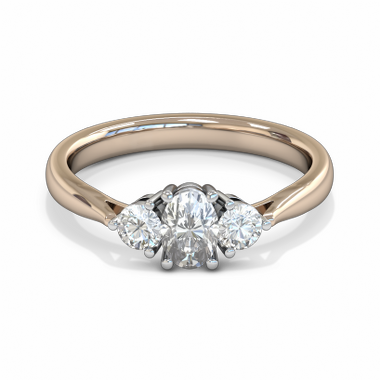 I looked far and wide for a good knot patternon a quality ring and had a very difficult time."